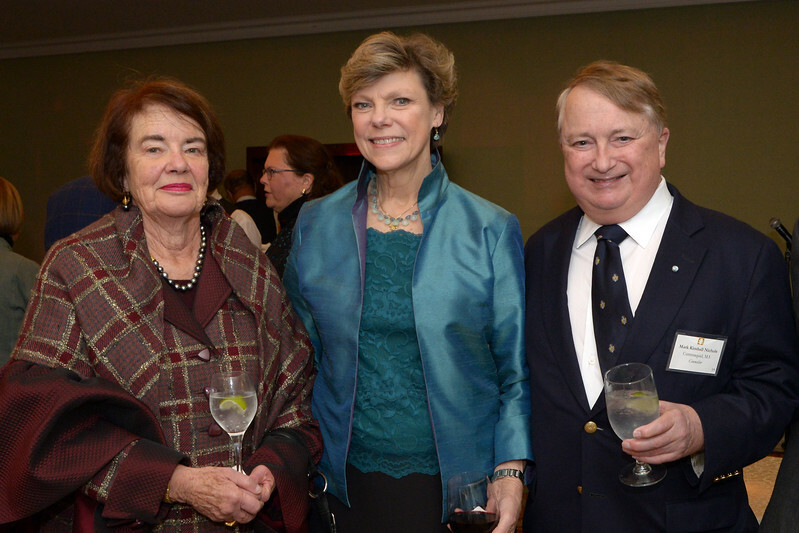 On October 27, 2016, 175 guests gathered at the Taj Hotel in Boston to honor historian and journalist, Cokie Roberts, with the Lifetime Achievement Award in History and Biography. Attendees of the Fall Family History Benefit dinner traveled from across the United States for the evening. After President and CEO, Brenton Simons presented Cokie with her genealogy, guests were treated to a lively discussion between Cokie and our Emcee, NEHGS Treasurer and co-anchor of CNBC’s Closing Bell, Bill Griffeth, who had captivated the audience earlier in the evening with a behind-the-scenes look at his best-selling memoir, The Stranger in My Genes. Attendees also delighted at Cokie’s thoughtful, yet straightforward, take on the history of women in America, Southern family traditions, and the upcoming election. It was an evening not to be missed! Special acknowledgements are due to Silver Benefactors Stephen H. Case, Bill and Cindy Griffeth, and to Lynn Bryan Trowbridge and Thomas Trowbridge. We are also grateful to Benefactors Judith Avery, Thomas Bailey Hagen, Nancy S. Maulsby, Mark Kimball Nichols, and Welch & Forbes, LLC.